Our MoldExterm process is a unique, patented proprietary process that kills mold fast. No one can treat mold more effectively and faster than Stern Mold. • No one does what we do! There's no wall tear out. We're Cheaper! • We kill it, clean it, and seal it – all in hours or less than one day. We're Fast! • We kill mold spores in the air. No need for days of air scrubbers. We're Different! • Our price is a our price – no up charges or hidden add-ons. We Give Rock Solid Pricing! • We offer up to a 5 year guarantee. We Get Rid of Your Mold Problem Guaranteed! Our patented MoldExterm treatment has been developed to provide a patented, safer, more effective option for treatment of mold. MoldExterm removes the mold while also creating an environment that will prevent it from coming back. With up to a five year guarantee to keep mold away, you can now rest easy using our MoldExterm treatment instead of incurring huge expenses, disruptive wall tear out, and days and weeks of remediation. Most mold treatment projects using our MoldExterm System are completed in just one day! 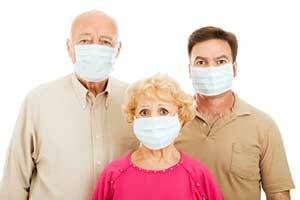 Find out more about this patented treatment that kills mold fast! Call Us Now at 888-887-8376! It's Our Proprietary Sealer That Makes Our Treatment Different! • MoldExterm is a bio remedial mold treatment process, which means it uses quaternary salt to actually remove toxic or unwanted substances from the environment. The system incorporates technology developed by Dr. Leonard Pinchuk. Among his many contributions are the development of the ground breaking angioplasty balloon catheter, widely used to combat coronary artery disease. • A patented polymer created by Dr. Pinchuk is the primary material used in the MoldExterm system. This durable substance resists mold, mildew and many other forms of microbial contamination. 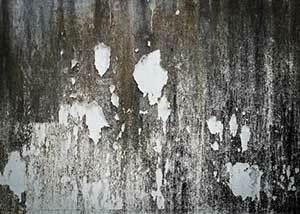 Not only does our process kills mold, it provides a foundation to keep the problem from reoccurring in the future. • MM1 and MM2 are the two major parts of the MoldExterm system. In the first part, the affected areas are treated with an EPA-registered, multi-purpose anti microbial. This powerful solution kills viruses, bacteria and fungi while it cleans, disinfects and deodorizes. • In the second part, our proprietary polymer sealer is applied to all surfaces. Unlike traditional remediation which simply replaces the original building materials, MoldExterm leaves behind an effective barrier that repels any subsequent reappearance of mold. • How does a simple coating protect against mold, germs and bacteria? Our polymer sealant takes advantage of the power of silver, which has been used as a natural anti microbial dating back to ancient civilizations. The metal contains nanoparticles that destroy bacteria, mold and viruses. The polymer stabilizes these particles to create even coverage and allow for slow release, making the solution long-lasting. • Initially, the polymer has a water-soluble base, allowing it to be applied using sanitizers or fogging equipment. Once the sealant dries, ionic cross linkers prevent it from becoming water-soluble again for maximum durability. The cross linker is also designed to come to the surface during times of maximum humidity when conditions are right for mold development. During dry conditions it tucks back into the polymer, ready to resume action during the next damp period. • After treatment is complete, we finish by reviewing if installing a professional-grade dehumidifier is recommended for your situation. This is another weapon to control moisture in the environment, even in hard-to-reach areas. The polymer seal doesn't affect the underlying surface and remains effective even under a coat of paint. In addition, you're protected by a warranty that guarantees successful treatment. When it comes to the safety of your home or business, trust the current, state-of-the-art technology of our revolutionary MoldExterm treatment. • Your satisfaction with our treatment and service is guaranteed. As part of Stern Environmental Group which has served the New Jersey and New York City metro area since 1995, we take your satisfaction with our services seriously. Call us or complete our form below to find out more about how we can help you with your mold problem fast. Stern Mold offers free mold inspections. Find out more today.